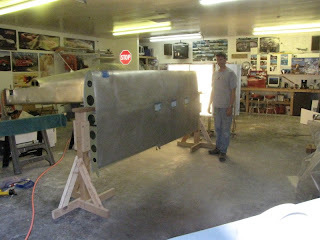 We have almost all the smaller parts and pieces filled and faired and primed for the final event, base coat/clear coat. 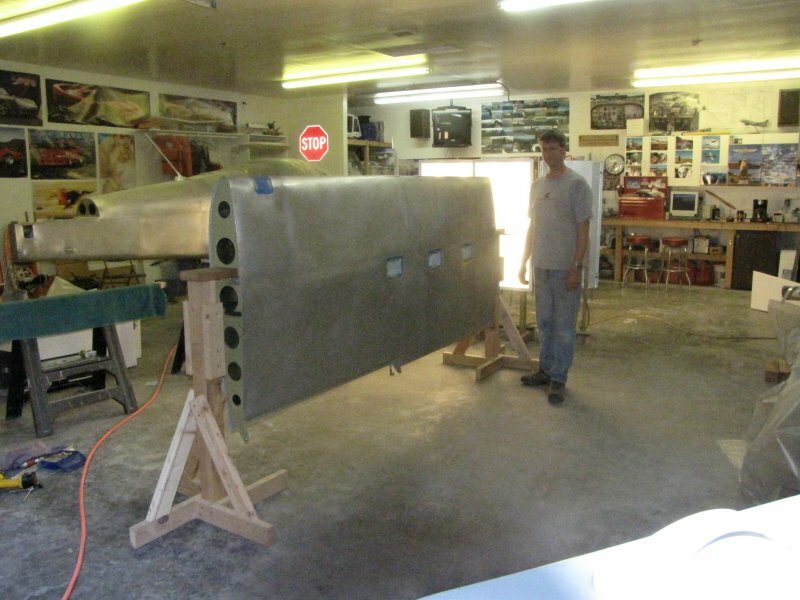 All that remains to be caught up to that level of finish are the wings and the fuselage. Last evening we built supports that hold the wing where we want it for painting. We are planning on shooting the metal etching primer and sandable primer on this wing tonight. 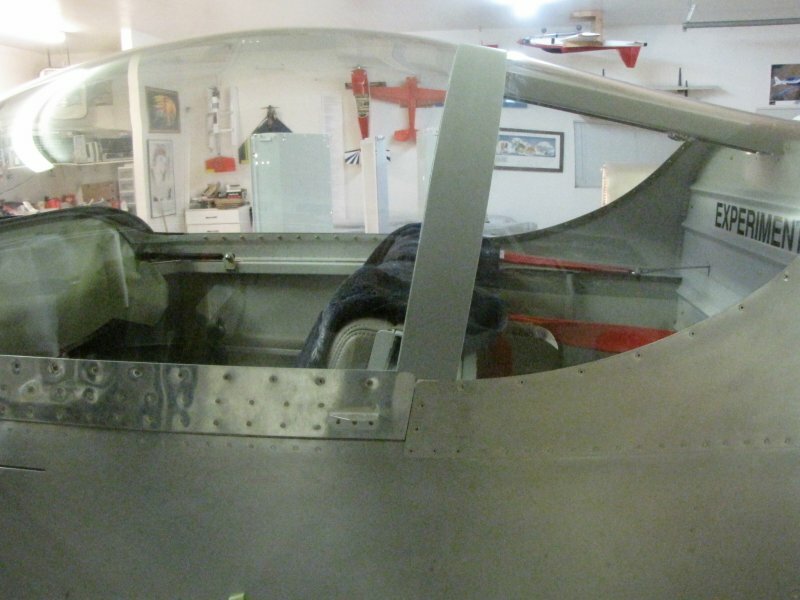 The other wing Friday evening and the fuselage this weekend. 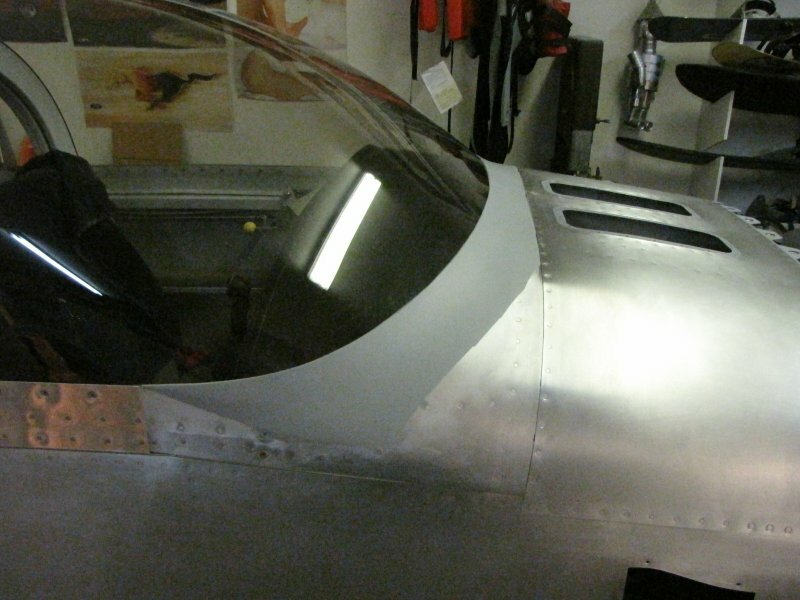 We removed all the masking so we could see what the cowl to canopy fairing turned out like. We are very pleased. It took seven progressively wider layers of fiberglass cloth and a lot of filler to smooth and fair but now? Perfect! And here is the Targa. What a nail bitter. 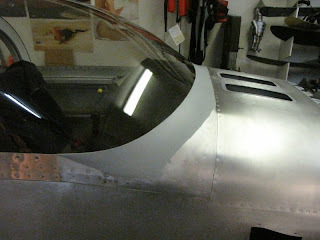 It is just a two and a half wide strip of four layers of fiberglass cloth bridging the gap between canopy and rear window but.... It could have been a disaster. Slowly the RV grin is starting to appear. What patience you have. It all seems so complicated. What cool thing you are doing together, father and son!